About a week ago, I decided that I was going to do a moody little orphan dinner this Thanksgiving! What does that mean you ask? Well, i’ve invited a few of my colleagues over to my place for dinner because they are orphaned like me. It’s just hubs, the lion and I so I figured, why be sad about not being with family…let’s get the work familia over and all work on our food babies together! I have given them all strict instructions to wear loose pants, pull out the buffet pants, lycra only…whatever the hell they need to do to be comfortable but we will feast!! I took today off of work because the lion was in daycare and I could get a head start on a few things like grocery shopping for all my essentials before it gets uber crazy out there. I don’t know what it is about holiday weekends but it’s like everyone is preparing for the apocalypse and suddenly everyone is buying enough groceries to fill storm shelters and survive off their pantries for the next 6 months. Line ups get crazy, traffic gets outta control and I just can’t be bothered dealing with it all. Today I felt like the winner of all winners when I saw the traffic getting worse outside my window and I was casually stirring my cranberry sauce while my inner monologue said…well played moody little kitchen, well played! I nodded as if to say, ‘i’m pretty good’. 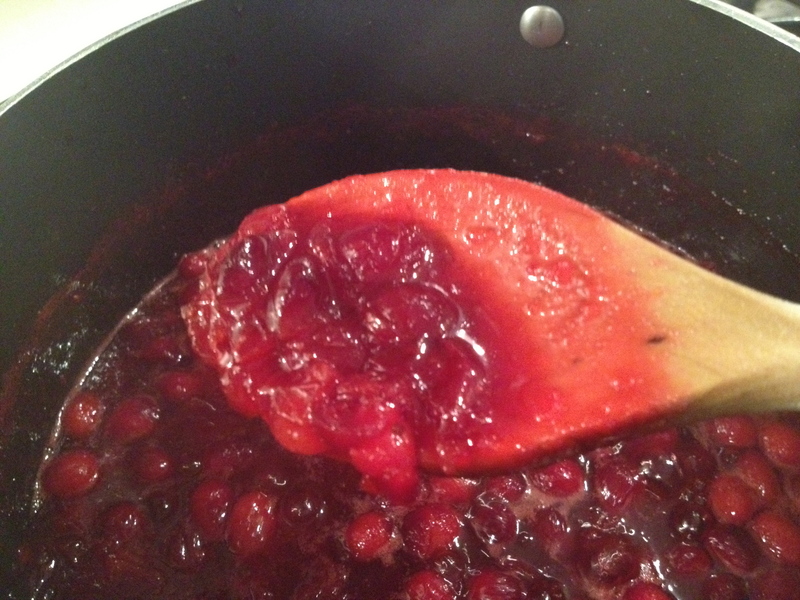 So, I will confess…I normally buy the canned cranberry sauce. EEK. Gasp, SHOCK…I know! I just spend so much time doing everything else that I figure…why make when I can buy it for like a buck fifty?? Well since i’m having some VIWM’s over (Very Important Work Mates), I thought I would go all out this year and make my own cranberry sauce. It’s actually super easy and since I had the extra day off, I thought I would bring it!! Let’s get started! First off…I’m making a double batch here because a) there will be 6 adults at dinner and b) there better be some left over for my epic post thanksgiving turkey sammie. 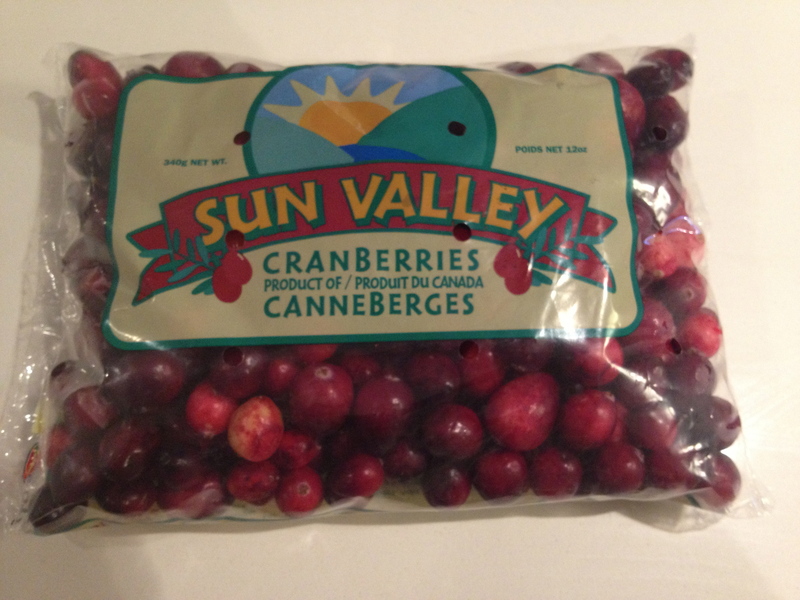 Get yourself 2 bags of fresh cranberries ( they are about 12 oz or 340 g per bag). Wash them and pick out any nasty ones and discard. 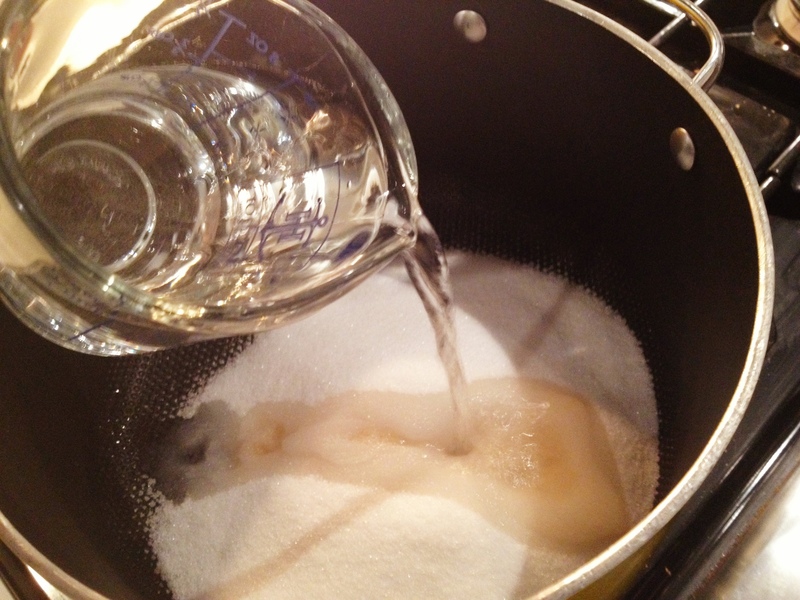 Place 2 cups sugar and 2 cups water in a pot and bring to a boil. *I wanted my sauce kicked up a notch…it is the holidays after all so I did one cup water and 1 cup freshly squeezed orange juice (from the ginormus naval orange I used). 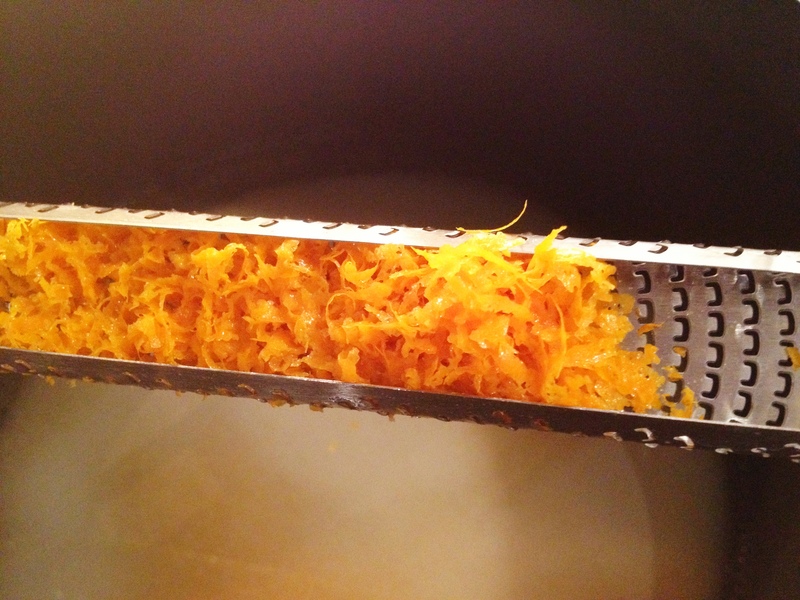 Add 1 Tbsp of Orange Zest. Make sure you stir. 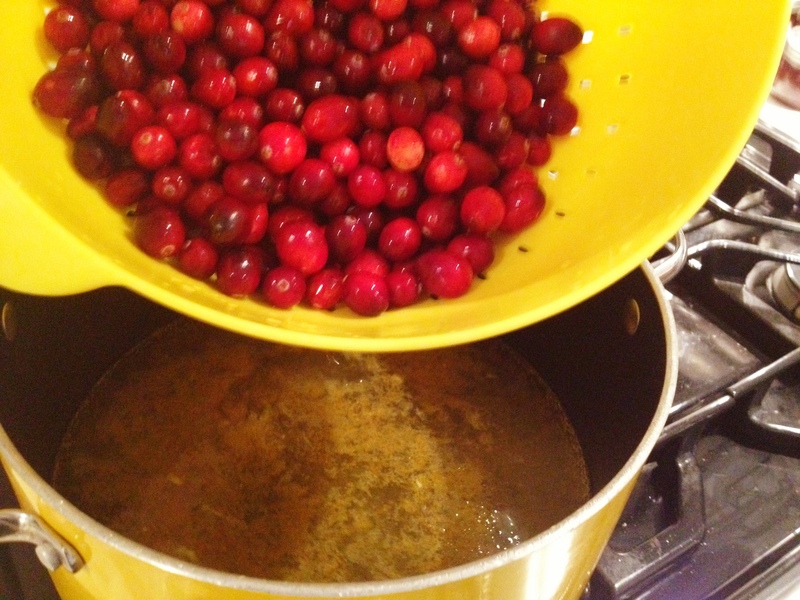 You want to make sure all of the sugar has dissolved before you add your cranberries. 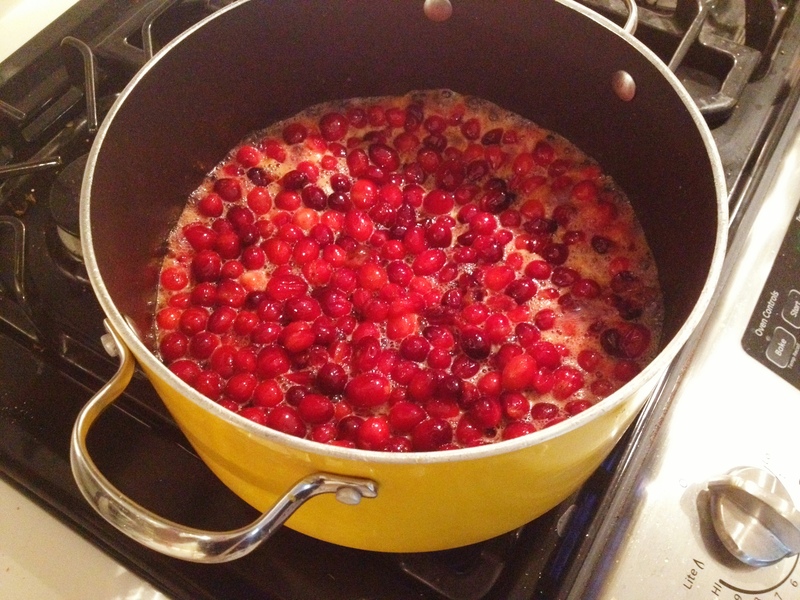 Add your cranberries to the sugar/water mixture and stir. In a few minutes, you will hear the cranberries start popping. It just means their skins are starting to break and you want this. I added a tiny dash of cinnamon and stirred some more. Stir it up good and let those lil tarts pop!! Next you want to grate 3/4 of an apple right in to the pop. Remember, I wanted this to be kicked up and not your average cranberry sauce right?? Who doesn’t love an apple/cranberry combo??? The answer is NO ONE!! Let this cook for about 10-15 minutes, stirring occasionally. It will start to thicken up. When its finished, let it cool a bit and then put in to a container and place in your fridge. This took no time at all but i’m glad I got a head start on the sauce because now, it’s one less thing to worry about!! Look at this glorious sauce!!! Just the zing I want with all that yummy savoury at my thanksgiving table. 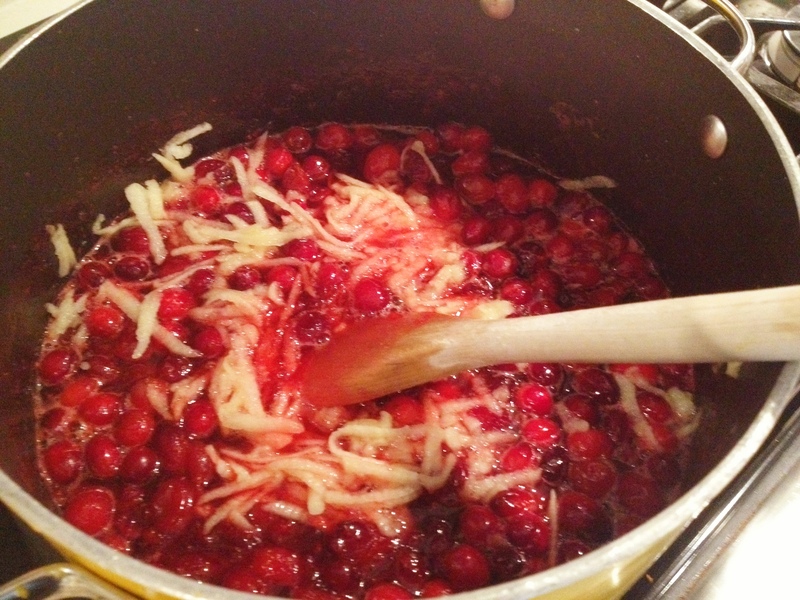 Add Cranberries to the mixture and stir. After a few minutes you will start to hear them pop and the skins break. Add a pinch of cinnamon and grated apple to the mixture and stir. Let cook at a light boil for about 10-15 minutes, stirring occasionally. You will see the mixture thicken up. Remove from heat and let cool for a little bit and then place the sauce in to jars/containers and place in your fridge. Sit down and give yourself a pat on the back because you just earned time for a coffee on Thanksgiving Day while your friends will be slaving away!! Okay fine people…I hope you all enjoy this recipe. 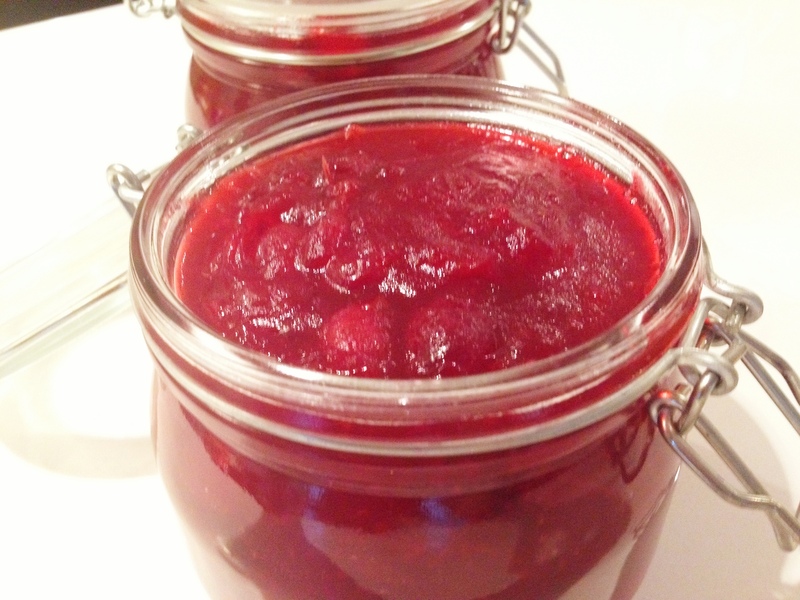 It’s cranberry sauce with a bit more pizazz! Hope your Thanksgiving Prep is going well and all is running smoothly! !